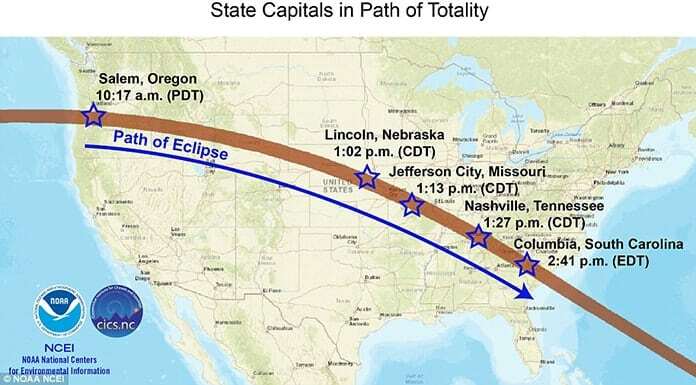 For the first time since 1918, a total solar eclipse will traverse the entire width of the lower 48 US states Aug. 21, moving from the Northwest to the Southeast. Varying in scope and duration as it progresses, the eclipse promises to shutter solar power generation, in varying but substantial degrees, from coast to coast. Coming as it does amid a decade and more of rapid growth in distributed battery-based energy storage systems (BESS), as well as solar power generation, capacity, the solar eclipse poses both a nationwide threat and an opportunity. Grid operators, utilities and power producers routinely prepare for such events, but the Aug. 21 total solar eclipse will test the mettle, and open up a window of opportunity, for intelligent, battery-based energy storage systems to prove their worth. In addition to time-tested and well proven forms of energy storage and reserve capacity – pumped hydro power storage and surplus natural gas-fired power generation – those responsible for keeping the lights on and the wheels of society spinning will turn to BESS to help bridge the anticipated sharp drop in solar-to-grid power supplies, which is expected to reach as high as 98 percent and last for roughly some two to three hours. The effects the total solar eclipse has on power grids across the US will vary, as does grid participants’ preparation plans. 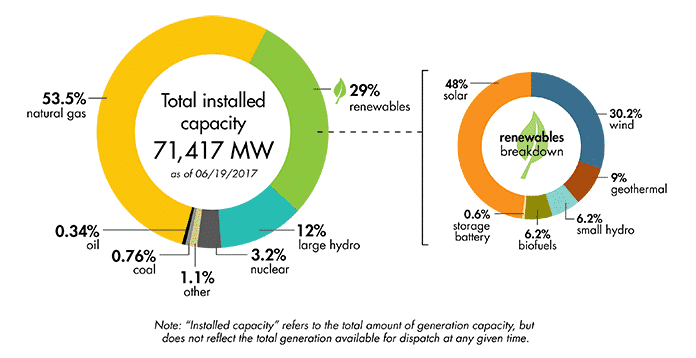 Solar power generation accounts for just a small percentage of overall capacity in the large majority of US states, and BESS capacity even less. 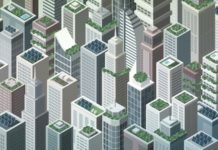 All eyes will turn towards California, which has led the US in terms of both distributed solar power and BESS capacity. 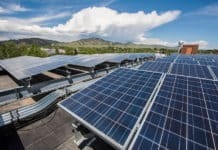 Solar Magazine spoke with Alex Morris, policy director for the California Energy Storage Alliance (CESA), to find out how the grid industry’s eclipse preparation plans are shaping up, and the role stored solar, and energy storage capacity more broadly speaking, figures to contribute when the Sun goes dark. The latest distributed solar tracking, analysis and forecasting software promises to enhance the grid industry’s ability to keep electrical charge flowing during the solar eclipse. They will be taking other measures, as well. These include gradually ramping down solar power generation and ramping up natural gas power generation as the eclipse approaches. 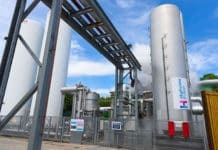 They are also planning to tap into distributed, “beyond the meter” solar power and BESS energy storage capacity, taking advantage of the load-shedding capabilities of customer demand-side response (DSR) mechanisms, and reaching out to consumers to do what they can do otherwise to reduce consumption. Despite rapid growth, solar power generation supplies just a small portion of grid power in most US states, and BESS capacity less yet. 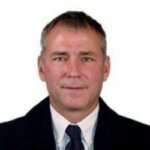 Most utilities and grid operators will rely primarily on more traditional forms of energy storage and reserve power generation capacity to bridge the gap in grid flows the eclipse will bring about, Morris explained in an interview. Spurred forward by market regulatory reform, North Carolina has vaulted to second place among US states when it comes to installed solar power generation capacity – enough to power 600,000 homes on a sunny day. 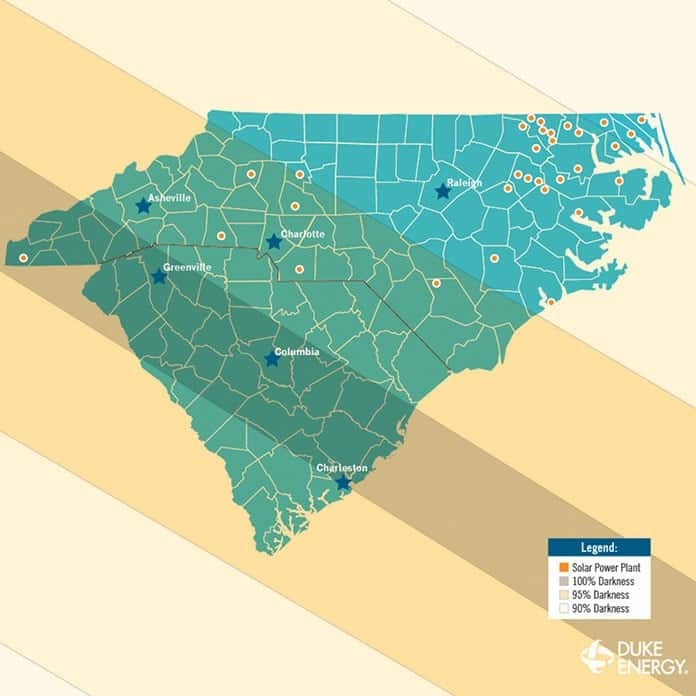 Duke Energy, the predominant regulated utility in both North and South Carolina, manages more than ¾ of the North Carolina’s installed base, around 3,200 MW. Passing across the path of the Sun on Aug. 21, the total solar eclipse will block more than 90 percent of sunlight for around two hours, between 1 PM and 3 PM, in the Carolinas, Duke highlights in a company news article. Early afternoon is typically a peak period of solar energy generation. Sammy Roberts, Duke Energy director of systems operations, explained that the utility expects solar energy output to drop from about 2,500 megawatts (MW) to 200 MW in 1-1/2 hours. Duke will rely on flexible, natural gas-fired power generation to bridge the gap. Aiming to better ensure electrons continue to transport energy to customers across its service territories, Duke intends to gradually ramp down solar generation and ramp up natural gas-fired generation as the eclipse approaches, then reverse the process once it has passed in order to better assure it does so. California has led the US in terms of both solar power generation and BESS capacity from the outset. Yet the same is largely the case in the Golden State. In addition to natural gas power generation resources, California has substantial pumped hydro power capacity that it will bring online to weather the solar eclipse, Morris told Solar Magazine. Among the latter is Castaic Lake. Operated by the Los Angeles Department of Power and Water, pumped hydro power storage there amounts to some 1,200 MW of rated generation capacity. Pacific Gas & Electric’s (PGE) Helms pumped hydro power storage facility adds another 1,200-plus, while Southern California Edison’s (SCE) Eastwood plant can contribute electrical power at a rated 200 MW. Then there’s Lake Hodges in the San Diego area, with another 40 MW of pumped hydro power storage, according to CESA data, Morris elaborated. Though small in comparison, BESS capacity will play a key role in California’s grid operators solar eclipse plans. California was the first US state to enact an energy storage mandate, one that requires the state’s major distribution utilities to acquire more than 1.3 gigawatts (GW) of energy storage capacity by 2020. A significant amount of California’s BESS capacity has come online in rapid response to the October 2015 Aliso Canyon underground methane storage leak, which raised the specter of electricity rationing and outages across Southern California. Some 100 MW of BESS capacity is now online as a result of the state government, grid operators and battery storage industry participants’ emergency response to Aliso Canyon, Morris pointed out. All in all, CESA pegs California’s available energy storage capacity at around 3 GW, which should be more than sufficient to make up the shortfall from the solar eclipse. Among other things, the performance of and data gathered during the solar eclipse should provide valuable insights regarding how to better structure battery warranties, for example. Industry players are structuring warranties to reflect that uncertainty, but they haven’t figured it all out yet. That can, and is expected to, improve, Morris said. “The [media] narrative here has been focused on the eclipse’s impact on solar power generation. This should be a manageable challenge. Here in California, solar obscuration is expected to range between 62 to 76 percent – towards the lower end in Southern California – if I recall correctly. The real challenge is fast ramp-down and fast ramp-up across three hours.” Looking up CAISO’s Aug. 21 solar eclipse obscuration projections, those figures proved to be spot on. California’s main grid operator, CAISO (California Independent Systems Operator) is planning to ramp down some 6,000 MW of solar power generation capacity, then ramp those grid assets up again during the course of the solar eclipse. CAISO and other California grid operators have structured the state’s fast growing fleet of distributed energy storage resources in different arrays and tiers, some able to dispatch power over two-hour periods, others able to do so for as long as four hours. That will help better manage the shortfall caused by the solar eclipse, Morris pointed out.